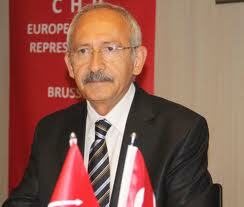 Rıza Türmen, a former Turkish judge at the ECHR and current Republican People’s Party (CHP) deputy, is skeptical as to whether the Constitutional Court will be recognized as an effective domestic remedy by the ECHR, stressing that the top Turkish court should maintain an objective attitude between individuals and state. He also said top judges should give rulings in parallel with the ECHR in order for the Constitutional Court to be recognized as an effective domestic remedy by the European court. “In order for the Constitutional Court to be an effective domestic remedy; top court judges should interiorize the spirit of ECHR rulings. The ECHR has instruments as well as a point of view towards freedoms and human rights, and the Constitutional Court should interpret these tools in the correct way,” Türmen said. Individual access to the Constitutional Court effectively begins with seven applications, as question marks still linger over the implementation process of the mechanism. In a move aimed at decreasing the huge number of applications lodged against Turkey at the European Court of Human Rights (ECHR), individual access to the Constitutional Court effectively began yesterday, although the related law went into force on Sunday. Still, question marks linger over the implementation process. As of 1:00 p.m. on Monday, seven applications had been lodged at the court. However, most are expected to be considered ineligible, as only verdicts finalized after Sept. 23 can be subject to individual access to the top court. Rulings finalized before that date will not be assessed by Constitutional Court, according to İbrahim Çınar, a Constitutional Court rapporteur responsible for the individual application office. Starting on Sept. 24, Turkish citizens have the right to personally apply to the Constitutional Court based on alleged violations with regard to their fundamental rights and freedoms arising from the Constitution and the European Convention on Human Rights. An individual who thinks that his or her fundamental rights and freedoms have been violated by a state institution is therefore able to file a case at the top court. However, this is only if they have exhausted all other administrative and judicial processes with their complaints before applying to the top court. If the violation stems from a court decision, the complaint file will be returned to the court in question for re-examination to make amends for the alleged violation and its possible outcomes. As a result of the new law, no Turkish citizen will be able to go to ECHR unless the Constitutional Court refuses his individual application, or rules that his rights have not been breached. The two-year period is being seen as a test for the Constitutional Court, during which time the ECHR will decide whether the Turkish Constitutional Court is an effective domestic remedy. If individual applications to the top Turkish court are eventually not recognized as an effective remedy by the ECHR, the previous procedure will again become valid, meaning that Turkish citizens will be able to apply to the ECHR after exhausting all domestic administrative and judicial processes. A two-member commission, at which unanimity is a must for approval or refusal, will assess the eligibility of the application to the Constitutional Court. If there is no unanimity at the commission, the application will be sent directly to the main commission that will then assess the application. The Constitutional Court’s burden is expected to get significantly heavier with the introduction of individual access, and the Court anticipates up to 100,000 applications, according to İbrahim Çınar. Cases regarding lengthy detention and trial periods constitute a huge number of Turkish cases the ECHR, and the top court is now responsible for them. When a court rejects the release demand of an imprisoned individual pending trial, the individual in question is now able to apply to the Constitutional Court if it is felt that fundamental rights have been breached. If the Constitutional Court rejects that application or finds the continuation of detention legal, only then will the individual be able to take the case to the ECHR.